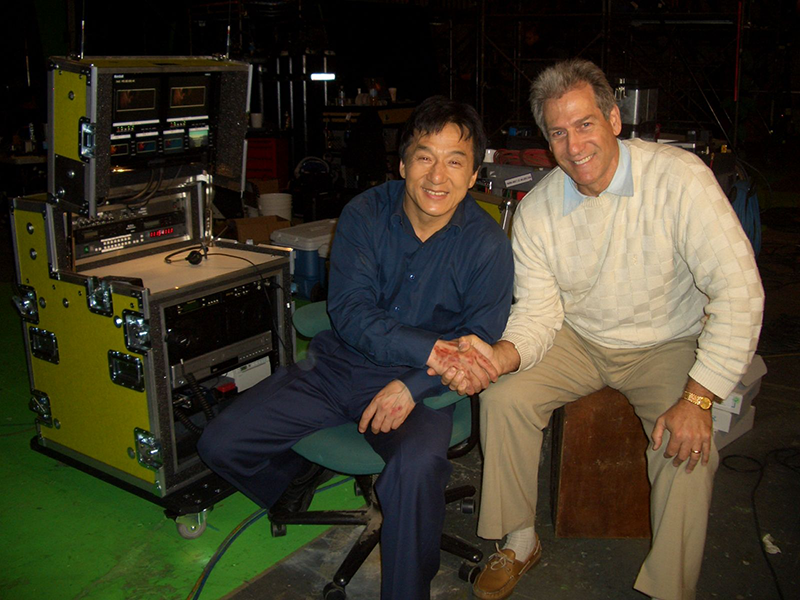 Jackie Chan JCE – PortaCast® Video Assist System – Custom Designed by Mobile Studios, Inc. Operating his Mobile Studios video assist system between takes on the set of Rush Hour 3. 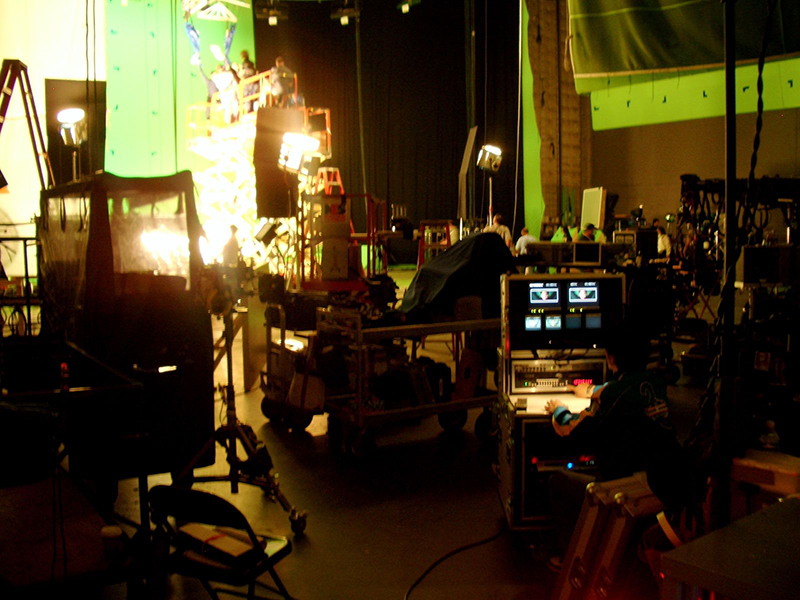 Mobile Studios designed the system to Jackie’s unique specs. The system included a Kramer 8 x 8 router, Marshall monitors, wireless RTS/Telex Com system, Pioneer DVD/HDD recorder, Polaroid instant printer and a high power P.A. 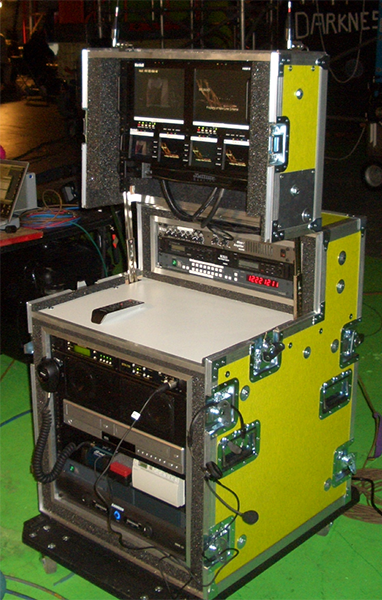 amplifier with a “police mike” to help direct scenes.